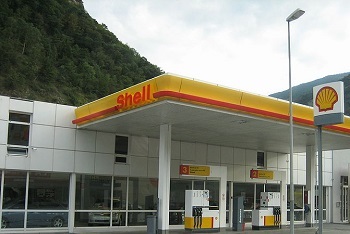 PayPal has teamed with Shell in the United Kingdom in order to facilitate mobile payments at gas stations. Drivers will be able to use the Shell Motorist App or the PayPal App in order to pay for their gas. Some 1,000 Shell stations will accept these mobile payments, which can be made by scanning a QR code. The new mobile payments service will be made available in April of this year. Mobile commerce is becoming a powerful force in the United Kingdom, where a growing number of consumers are using their mobile devices to shop online and pay for products in physical stores. PayPal has established a strong foothold in the mobile payments space by offering services that help make mobile commerce more convenient. Convenience is one of the major attractions of mobile payments. In retail, consumers can skip long lines and checkout processes by using their mobile devices. Now, this convenience is coming to gas stations in the UK. PayPal believes that consumers will participate more in mobile commerce if there is a clear benefit in doing so. The new service being launched with Shell may bring more convenience and speed to those that are fueling their vehicles. The partnership between the two companies may also accelerate the acceptance of mobile payments among consumers, offering an example of how mobile commerce can be incorporated into various service sectors. Mobile commerce is expected to continue gaining momentum in the United Kingdom. In the coming years, consumers may opt to use their mobile devices to pay for products and services more than they use their credit and debit cards. Cash may also fall by the wayside in the near future, as mobile devices represent an easier way to pay. There are still challenges that face the mobile commerce space, of course, but partnerships between large companies could help the sector overcome these challenges.